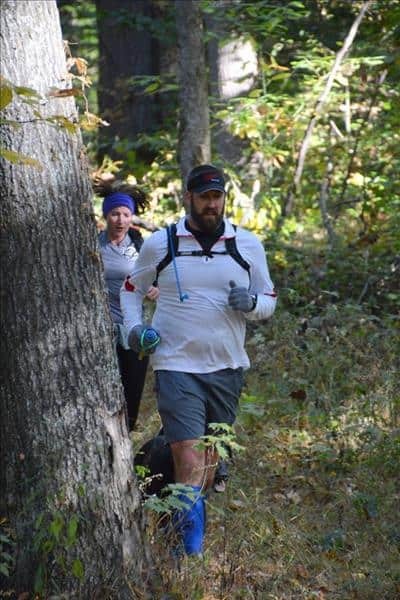 A run through the single-track trails, woods and wilderness of Indiana’s Owen-Putnam State Forest awaits at this early spring race, which hosts a 50K, 50-miler and a 14-miler that bills itself as the toughest trail run in Indiana, with more than 6,000 feet of elevation gain over its 50 miles. “Trail running at its funnest and toughest.” The race unfolds through a 6,500-acre forest that’s known for being one of the area’s best destinations for outdoor enthusiasts, thanks to its plentiful fishing ponds, hiking trails, horseback riding trails, campgrounds and native wildlife like deer, raccoon, turkey and fox. 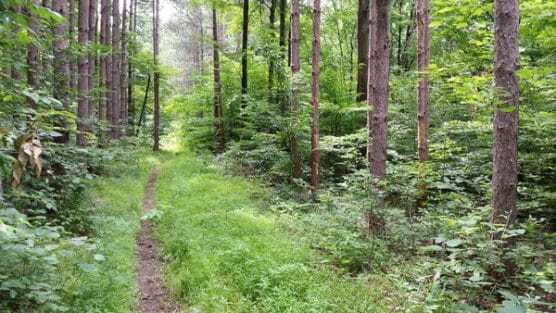 It’s a forest so you’re definitely going to be running through the woods — the Indiana Trail Running Association, which organizes the race, estimates that about 90 percent of the route is single-track trails through the woods, with a few stretches of fire road mixed in. You’ll start the race at the Horse Campground just off Fish Creek Road, and from there you’ll follow a lollipop-shaped route up and through the forest, passing by a pair of aid stations along the way (Aid Station A and Aid Station B). More than 6,500 feet of elevation gain. The thing to know about this race is that it’s hilly — seriously hilly. 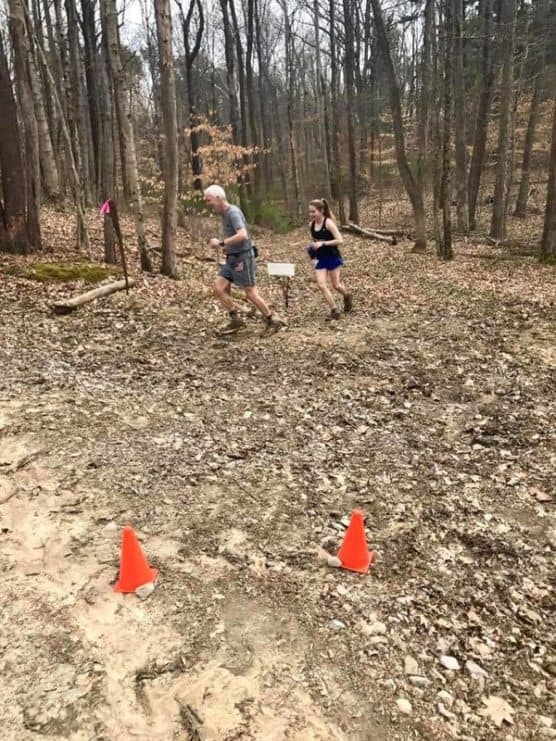 Runners who complete the 50-mile race will experience more than 6,500 feet of elevation gain over the course of their 50 miles; those running the 14-mile race will of course experience less, but it will still be a really challenging run for everyone who participates. The trails themselves will be “rugged,” organizers add, and because of the time of year it’s likely there will be lots of mud out on the trails, too. Located roughly an hour’s drive from Indianapolis, Poland typically sees still quite-chilly weather in March, as temperatures average between the low 30s and the low 50s, and snow is still a possibility with an average of just over 4 inches of snowfall during the month. See the race route map for the OPSF50|50 14-mile race here. 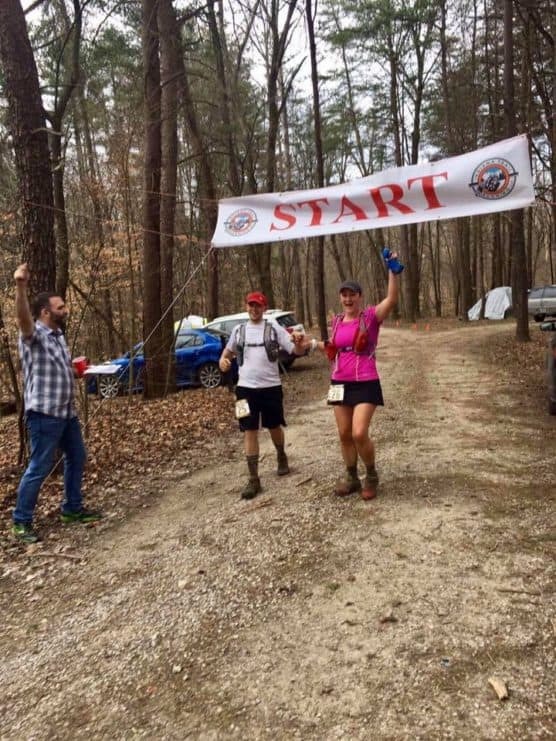 To reserve your spot in the 2019 running of the OPSF50|50 14-mile, 50-mile or 50K race, register online at UltraSignUp.com here. Ever run in the OPSF50|50 races? Share your impressions here, as well as anything you learned about the race that you think other runners/walkers should know.